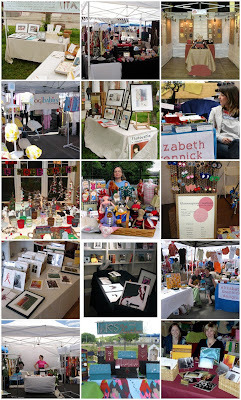 Boston Handmade: Monday Mosaic - We Do SHOWS! Monday Mosaic - We Do SHOWS! Oh so many shows!!! Some as a group, some on our own, LOTS this summer, and we are all gearing up for our biggest show yet, the Boston Handmade Marketplace in Union Square, Somerville on June 28th from 3-7pm. To see all of these photos close up - and more! - check out our Flickr photo pool and we'll see you at our upcoming shows!! !